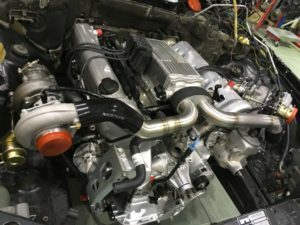 M117 Twin turbo kit development is in progress. Turbos: 11-blade billet compressor wheel, 500+hp each. Water to air intercooler with Laminova cores.